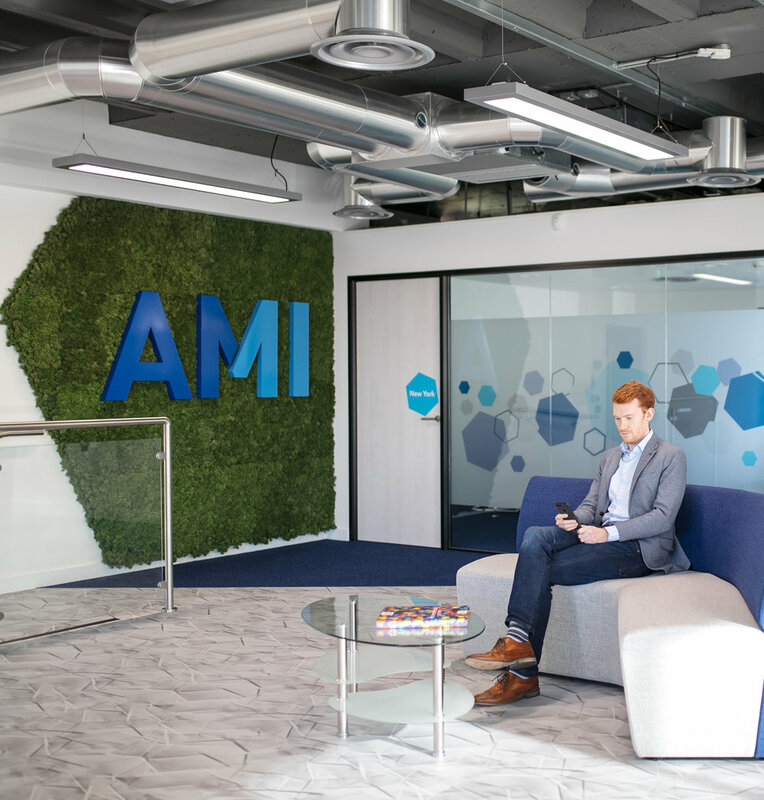 AMI’s beautiful new office space in City Centre Bristol needed a stand out reception area! Interaction achieved just that – with a custom MossWall, some strong blue branding and a vibrant colour scheme this space really has got the wow factor! With special thanks to Rebecca Faith Photography.